Golin's London office has been appointed to a project to develop a corporate narrative for German drugs giant Merck KGaA, which in recent years has stepped up efforts to differentiate itself from the US pharma firm of the same name. Golin London had not previously worked with the client. The account is overseen by head of corporate Nick Bishop. The agency has been hired to "develop a corporate narrative, which clearly and concisely explains who Merck is, why it exists and where it is headed... [and] sharpen Merck’s storytelling as a science and technology company". In particular, it is tasked with giving the company character in the oft-conservative pharma industry. Axel Loeber, head of corporate branding, said: "When we created Merck’s new visual identity a few years ago we took a very deliberate decision to break away from the 'sea of sameness' which characterises the industries we are present in. The same needs to be true for our narrative – we need to go beyond the expected." Bishop said Merck "truly wants to break the rules" and was "bold, brave and totally committed to doing things differently". He told PRWeek: "If you asked employees or customers of Merck to create a new visual identity for the business, they would not have created the identity Merck has today. Axel and his team took a very deliberate decision to be disruptive and ignore consensus. The narrative we create for the business needs to do the same, it needs to differentiate Merck from its competitors in the same way the visual identity does." 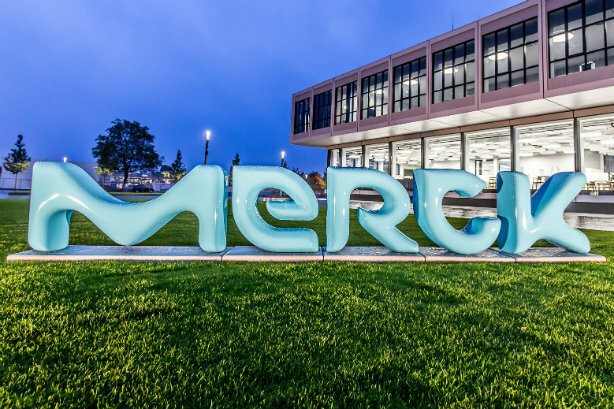 Merck KGaA is separate from US-based Merck & Co, which operates as MSD outside of the US and Canada, and bids farewell to its comms chief this month. The German Merck also operates in the US, but under separate brands. The shared name has become an "increasing irritant for both companies as the internet has undermined a decades-old pact under which ownership of the brand was divided along geographic lines", according to a Financial Times article written in 2015 amid a rebrand of the German company. Merck KGaA CEO Karl-Ludwig Kley told the FT of Merck & Co: "They have been our child so to speak. The two companies are friendly. We are trying to work it out but it’s not easy." He also said: "They are Merck in two countries, we are in 150." Merck KGaA hired WA Health for UK support last year.